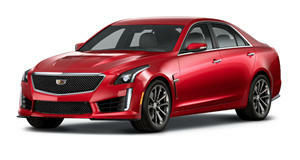 Sedans as fast as supercars, right off the showroom floor. Cast your mind back a decade, to 2008 – the Lamborghini Gallardo LP 520-4, with a 5.0-liter 513-hp V10, could run 0-62 mph in 4.0 seconds dead. For its time, this was a standard supercar benchmark. Of course, top speed could also be a measure, but since most manufacturers limit their vehicles at 155 mph, though they’re far capable of exceeding this, it’s a half measure at best. So, isn’t it a joyous time for automotive enthusiasts, an era where a family sedan can keep pace with a bona fide supercar? It’s either testament to how far things have come or a scathing indictment on the supercar sector. But it’s now not at all uncommon to find sedans not just keeping pace from standstill, but around racetracks too. To honor the era of the super-sedan, we’ve found all the sedans on the market in the US that – though many of them have far greater credit than merely their ability to out-accelerate a decade old supercar. A decade ago, Cadillac wouldn’t have dared even dream of being on this list, but the latest incarnations of the ATS-V and CTS-V have established them as a proper performance carmaker for the American masses. It’s the CTS-V that finds a spot here though, as the rear-wheel-drive thunder-saloon is capable of a 0-60 mph sprint time of a manufacturer claimed 3.7 seconds. It’s thanks to the – 640 horsepower and 630 lb-ft of torque. That gut-wrenching power doesn’t end at 60 mph though, as the CTS-V will run on to 200 mph if given the track-space to do so. 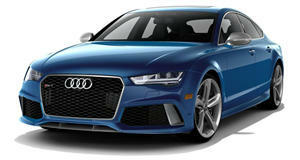 The Audi RS7 is one of the oldest cars on this list, and . But quattro all-wheel drive and a potent twin-turbo V8 engine set the RS7 in good stead to run with supercars well before the rest of the world played catch-up. With 560 hp and 516 lb-ft tied to the ground via permanent all-wheel drive, is it any wonder the RS7 sprints to 60 mph from a standstill in 3.7 seconds? The potent RS7 Performance does it quicker still, in 3.6 seconds with 605hp. Which is more exciting – a sedan that can keep pace with supercars, or the fact that it’s a rear-wheel drive Alfa Romeo? 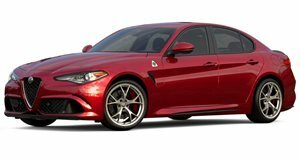 Powered by a Ferrari-derived 2.9-liter bi-turbo V6, 505 hp and superior engineering see the Alfa Romeo Giulia Quadrifoglio rocket to 60 mph in 3.8 seconds. More than that, , quicker than a Lexus LFA and Lamborghini Gallardo LP570-4 Superleggera. It’s pretty much earned the tag of being a Ferrari sedan. Who would’ve thought something sharing a chassis with a VW Beetle would end up on this list? 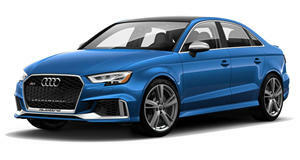 Well, here the RS3 Sedan is, replete with a 2.5-liter turbocharged 5-cylinder engine – of course – and 400 horsepower, sent to all four corners with 0-60 mph taking a rapid 3.9 seconds. Lest we forget, the RS3 is the junior Audi Sport model of the entire line-up, and it’s without batting an eyelid. Hellcat power, is there anything else that needs saying? 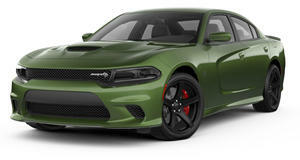 The Dodge Charger Hellcat’s supercharged 6.2-liter Hemi V8 generates 707 earthshaking horsepower, sent to the rear pair of tires with enough force, and grip, to send the Charger from 0-60 mph in just 3.4 seconds. But stick it on a drag strip with some track rubber and it’ll outgun many a supercar. Not to mention, ? Whilst many of the vehicles on this list possess genuine sports car credentials, the same can’t be said of the BMW M760i xDrive. It is after all a luxury land yacht first and foremost, designed to ferry passengers in the rear of the cabin in complete relaxation. But whilst appearances may be somewhat unassuming, is anything but. 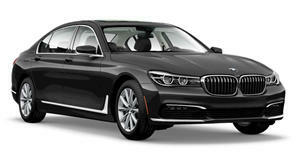 Throw in permanent all-wheel drive, and the M760i is the land yacht capable of 0-60mph in 3.6 seconds. Down any straight stretch of road, the M760i is capable of dealing supercars a good scare. Representing the boys from Electric Avenue, the Tesla Model S P100D has been the poster-child for EV performance since day one. YouTube is filled with videos of P100Ds destroying supercars and drag-monsters alike down the strip, not surprising given it sprints from 0-60 mph in just 2.5 seconds. Two point five seconds! Not only is that true supercar territory, but that’s as quick as a Bugatti Veyron completes the same feat, and . 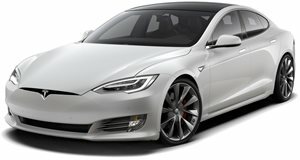 It’s perhaps the single feature of the Model S that’s cemented it in the hearts and minds of motoring enthusiasts. 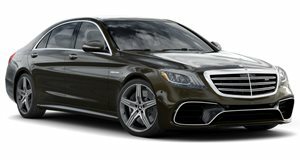 While almost all AMGs are thundering demons of the street and track, it’s the biggest of the lot – the AMG S63 – that offers the best performance in a 4-door sedan package. Powered by the familiar 4.0-liter twin-turbo V8 engine seen across the range, outputs of 603 hp and 664 lb-ft mean the S63 offers one of the highest states of tune for the hot-vee motor. 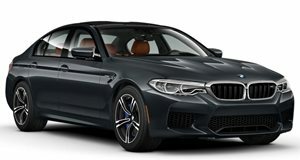 Mated to all-wheel drive and a 9-speed automatic transmission, 0-60 mph arrives in 3.4 seconds, frightening not just the BMW M760i but many a supercar on the street too. 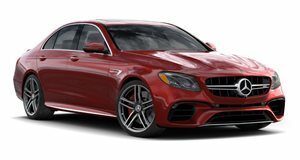 From one AMG to the next, the AMG E63 S makes use of the same 4.0-liter V8 as the S63, in an identical 603-hp state of tune, and with the same automatic gearbox. But , and the reduced weight compared to its bigger brother means the E63 S 4Matic+ takes performance to a new level. 0-60 mph arrives in just 3.3 seconds, but it’s not just that number that tells the story. The E63 S is a capable luxury cruiser but possesses the duality of being equally at home on a racetrack where it can be found hunting down BMW M5s and Audi RS7s. After Mercedes-AMG took the E63 the AWD route, it was a waiting game to see how BMW would respond. The response was swift and the strike deadly accurate, as BMW pioneered the M-xDrive all-wheel-drive system specifically for the new M5. Paired with , the M5 Performance – replete with an illustrious performance history dating back more than 30 years – smashes the 0-60 mph benchmark in 3.1 seconds. Every day is a track day when you drive an M5. It’s said that every Porsche is a sports car first, and a segment competitor second. That’s the ethos behind vehicles like the Macan, and indeed the Porsche Panamera. 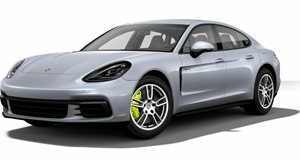 Now in its second – and arguably most beautiful generation – it’s the hybridized Panamera Turbo S E-Hybrid that delivers the strongest of killer blows. A twin-turbocharged V8, measuring 4.0-liters in displacement, kicks out 550 hp, but is bonded to a supplementary electrical system to bolster total outputs to a manic 680 hp and 626 lb-ft of torque. With all-wheel drive and the incredible PDK dual-clutch gearbox, 0-60 mph takes 3.2 seconds before the Turbo S E-Hybrid stretches on to a 192 mph top speed. Of course, , making it a true supercar slayer for the modern family man. The most recent addition to this list is perhaps one of the most fitting. Though the Mercedes-AMG GT 63 S might be based upon the same chassis as the E63 mentioned above, with the same engine at its heart, the whole thing has been worked over from the ground up by the team at AMG to create what is effectively a 4-door version of its monstrous AMG GT supercar. It makes use of the same 4MATIC+ all-wheel-drive system, but dialed in for sharper responses and better on-track behavior – though drift mode is still standard – and the 4.0-liter V8 churns out 630 hp in 63 S trim. 0-60 mph takes 3.1 seconds, quick enough to rival any supercar, and handling gets a boost courtesy of rear-wheel steering. Though it’s yet to go on sale in the US, is enough to warrant its eligibility for inclusion here. 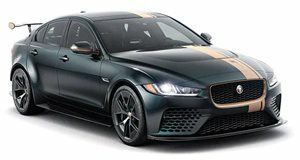 The Jaguar XE is a competent sports sedan in its own right, but hand it over to Jaguar Land Rovers Special Vehicle Operations (SVO) department, and the sports sedan becomes something beastly. Under the hood, SVO shoehorned a supercharged 5.0-liter V8 outputting 592 horsepower. Traction is found through a rear-biased all-wheel-drive system, with specially designed, track-honed suspension aiding high levels of grip. Carbon fiber usage is liberal for reduced weight, meaning the most powerful series-production Jaguar ever can achieve impressive performance in all circumstances. 0-60 mph takes 3.3 seconds, the Project 8 tops out at 200 mph, and the giant rear wing develops 269 lbs of downforce at 186 mph. But Project 8 was designed to conquer any and all racetracks, and the limited production model of just 300 units – quicker than a Ferrari 488 GTB, Dodge Viper, and Ferrari Enzo. It seems a fitting sedan to finish this list with, one that hammers home the point that sedans are now truly as fast as supercars. What a time to be alive! If you like masses of power in a compact car, you're gonna love the Audi RS3. If you’re looking for something that really will fly under the radar, this is it.